This is Sally. (Chris actually took this photo, I forgot that when I put the watermark on here.) Sally showed up on our pond about six weeks ago or so. Muscovy ducks aren’t normally on our pond, in fact I’ve never seen one here before Sally showed up. Which makes me wonder where she even came from. Was she someone’s pet that got loose? A lone duck that lost her way? She floats around the pond all alone, sometimes perching on downed tree branches along the shoreline, or waddling along the roadway-dam at the end of the pond. I’m worried someone will hit her one day. Some jerk had the gall to hit a turtle at a stop sign this year, so I wouldn’t put it past them to hit a duck waddling across the road. I love Sally, but I’m normally not fond of muscovies. In Florida they seemed to be on every pond at one of the places we lived in Miami, so they got a little annoying with their constant begging for food which was of course aided by the people fishing along the ponds. Around here in the animal universe we’re all a little mixed up. First, Chris saw a bald eagle on one of the trees near the pond *in our yard*. We had guessed that perhaps one day we might see one around here but I had pretty much given up. This was at lunch time one day and so I asked him if it really was a bald eagle, because you know osprey look similar. Not that he wouldn’t know the difference, but asking is habit because many people mistake them. I got a sarcastic “Yeah, it was an eagle” answer back, and then we went on a search to get a photograph which ended up in no photograph since we never saw it again. Sometime over the weekend the feral cat Callie stopped showing up. She has a sister, Little Callie (yeah, I know, I’m not original), that has been around but Callie hasn’t been here. I’m sad about this since she was one of the cats I would have made an inside cat. She always hovered at the door in the mornings, so close that she would come inside if I let her. And then Fred got sick for a few days. He refused to eat food and huddled under the carport and looked generally distressed. We began to worry an illness was going through the group but a call to our vet friend told us not to freak out and of course soon after Fred seemed to recover from whatever he was sick with. We try not to get too attached to the ferals, knowing that cats who live outdoors have a lower life expectancy. But, I can’t help it, they are sweet and lovable in their own ways. 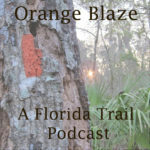 I’ve got a lot to write about, but I’m planning on spending a lot of time writing on my Florida Trail book before the end of the year. With the evenings beginning earlier it will be easier to spend time hiding out in my studio for a few hours every evening. I hope, at least. What a beautiful muscovy. Too bad she’s all alone, ducks are really flock animals. 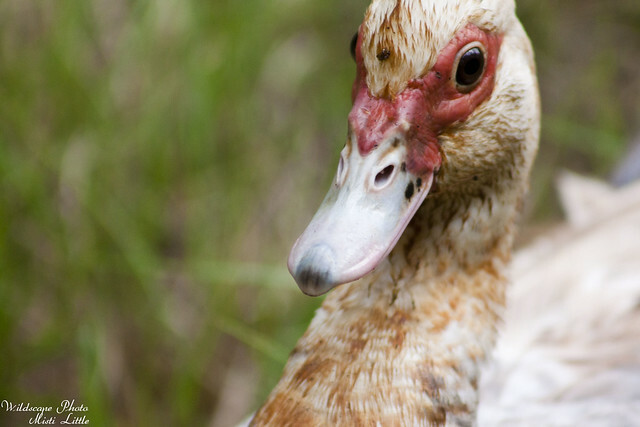 Our muscovies are never alone and get stressed out if they can’t see their friends. grayson is going quack quack quack!! cool duck! I hope it was a bald eagle … that would be so cool! And happy writing!!! I hope you are as productive as you expect to be! We have bald eagles all over Marco Island- we’re an actual sanctuary for them so I grew up with them all over the place. It’s a little spooky when they fly overhead, though, when I am swimming. I always worry they might dive into the screen after me. Of course, they are smarter than that. But they are SUPER impressive! I love ducks. I would love to have a duck in my yard. They are in the bay behind my house, but not up on the land. I guess that’s better, though. I know a few people who had ducks take over their pools and stuff and they can get aggressive. When Gracie was in preschool, they used to take the kids to the park for lunch and one day a duck marched over to the picnic tabled the kids were sitting at and just took the sandwich out of Gracie’s hand and waddled away with it. I totally forgot that story until this moment. Apparently Gracie stood up and yelled at the duck as it waddled away. She was VERY angry about it. It makes me laugh a litle to think about it.